We know your vision is important to you – and it’s important to us. Your eye exam is scheduled for a full thirty minutes to allow a comprehensive exam and time for Dr. Langner to discuss your eye health with you. Dr. Langner’s exam provides a complete check of your visual systems, inside and out. 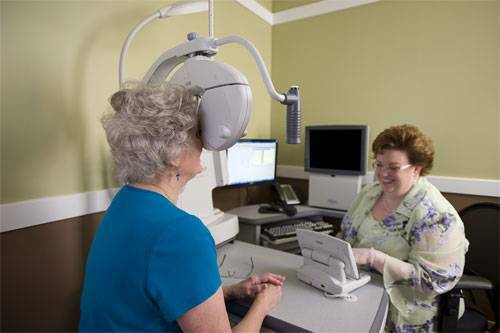 In addition to measuring visual acuity, your eyes will be examined for any potential eye disorders or diseases. Both dilation and digital photos of the front and back of your eye are included in the exam to provide a thorough, standard of care eye evaluation. After your exam, Dr. Langner will review your treatment plan with you in detail, using real-time photos of your eye and 3-D educational animations to ensure that your fully understand your eye health and treatment options.